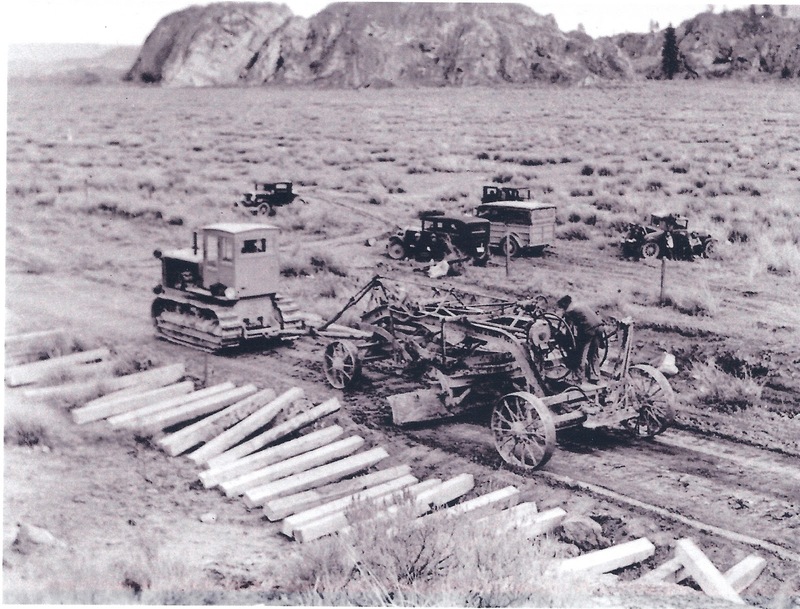 While construction of the grade was done with a minimum of major equipment, the recently invented road grader was used. Here is an example being steered by the guy on the back while being pulled by the tractor. This very grader was recently discovered sitting near a pile of scrap metal outside of the locomotive maintenance shed at Odair and was removed for preservation.